queen, taught French by a missionary-priest, Jin leaves Korea and settles in Paris. Her new life provides unimagined social, literary, even commercial opportunities, but the relentless exotification of her very person emphasizes her growing alienation. Her return home is bittersweet, as she’s treated like a foreigner, but events turn horrific when she’s caught in the violent Japanese takeover of the Joseon court. Originally published in Korea in 2007 to best-selling success and smoothly Anglophoned by Anton Hur in his translated-novel debut, the court dancer’s latest journey west should command substantial, eager audiences. World Literature Today Reviews The Good Son! "You-Jeong Jeong’s The Good Son is a precise, meticulously plotted thriller that is occasionally too precise and meticulous for its own good. The novel begins with its protagonist, Yu-jin, waking up in his room covered in blood. He suffers from seizures. He has vague memories of the night before. When he goes downstairs, he finds his mother dead, and soon he convinces himself that the two of them had fought earlier, her in a rage, him defending himself. Soon, his adopted brother shows up. Then his aunt. Then the police. Those encounters are each fraught with tension, and the tension comes from Jeong’s prose, which spares not a single word. Books in Translation making it to PRIMETIME – K THRILLERS ARE HOT ! The Good Son is on Jimmy Fallon's Summer Book Club List! The Good Son makes BookBub.com's Best Beach Books List! Early one morning, 26-year-old Yu-jin wakes up to a strange metallic smell, and a phone call from his brother asking if everything’s all right at home — he missed a call from their mother in the middle of the night. Yu-jin soon discovers her murdered body, lying in a pool of blood at the bottom of the stairs of their stylish Seoul duplex. He can’t remember much about the night before; having suffered from seizures for most of his life, Yu-jin often has trouble with his memory. All he has is a faint impression of his mother calling his name. But was she calling for help? Or begging for her life? The Good Son makes the 32 Best Summer Reads on Elle.com! The Good Son makes Entertainment Weekly! For Samuel Johnson, the goal of writing was “to enable the readers better to enjoy life, or better to endure it”. Özgür Mumcu’s The Peace Machine does both: it is as much a rollicking Ottoman steampunk adventure – full of wit, tongue-twisters and roguish escapism – as it is a carnivalesque take on contemporary politics. The Good Son makes PW Picks of the Week! You can see the rest of the list at PublisherWeekly.com. Southside Books in Sweden publishes Un su Kim’s THE PLOTTERS in October 2019! The Swedish title is “A right time for a knife in the heart” So cool. We love the cover ! 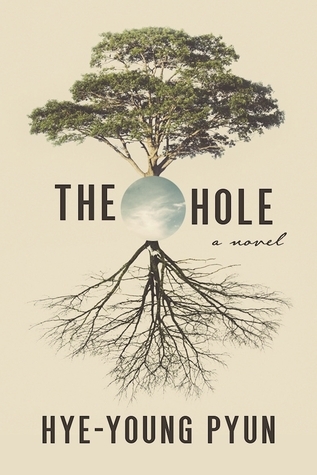 Congratulations Hye young Pyun and Sora Kim Russell, translator, for THE HOLE! Hye young Pyun and Sora Kim Russell translator for The Hole were nominated for Shirley Jackson Award! Here is the list of the nominees. Marilyn Monroe and her Korean female translator over 4 days and three nights during the Korean War. A spy story. A romance. I can't think of anything better ! Coming very soon from Barbara J Zitwer Agency, KL Management and our global team. Congratulations Jeong you Jeong ! THE GOOD SON, English language publication May 3rd and the rave reviews are pouring in! First Review from the Unites States of The Good Son! A young man desperately tries to fill in gaps in his memory when he realizes he may have brutally murdered his own mother. Twenty-five-year-old Yu-jin lives in a sparkling modern apartment with his mother, has an adopted brother with whom he's close, and he's waiting to hear if he's been accepted into law school. One morning, he wakes covered in blood, "clots of the stuff" hanging off his clothes. He follows the trail of gore to find his mother lying at the bottom of the stairs with her throat cut. He explores the house, hoping for more clues as to what happened, and is surprised to find his late father's straight razor covered in blood in his room. Could he have killed his own mother? It sure seems that way, even if he can't remember doing it, and the fact that he hasn't been taking his anti-seizure medication doesn't help. Yu-jin narrates, telling a compelling, disturbing tale as he tries to piece together the events that might have led to his mother's death. Yu-jin's mom may not have had his best interests at heart. She made his stop swimming competitively—the only thing he really loved—because she claimed to fear he'd have a seizure in the water, and she nags him incessantly, always insisting she know his whereabouts. After his brother and father died 16 years ago, she adopted Hae-jin and has favored him over Yu-jin since. Yu-jin even confesses to following young women around at night, noting that frightening them is an addiction that he must feed. When a woman's body washes up nearby, one can't help but suspect Yu-jin. He doesn't help his case by admitting that he lies often. Pressure steadily mounts as Yu-jin's world, and mind, unravels. Bestselling Korean author Jeong slowly winds readers up with taut, high-tension wire, slowly letting it play out as the police inevitably come calling and Yu-jin begins to uncover shocking secrets about himself, his mother, and his past. A creepy, insidious, blood-drenched tale in which nothing is quite what it seems. Last December, Korean novelist Un-su Kim set out on an eight-month deep-sea fishing trip as part of research for his next book. Unreachable by phone or email until next August, when his boat docks in Fiji, he has no idea that his thriller The Plotters has been the subject of a wildly enthusiastic auction in the US, where it recently sold to Doubleday for a six-figure sum. German publisher Europa Verlag has called Kim “the Korean Henning Mankell”, while publishers in the UK, Czech Republic and Turkey have placed offers, and international film companies are also battling for rights. Korean writing can seem new to English readers due to the unique cadence and economy of the language; translator Deborah Smith described the process of changing Korean to English as “moving from a language more accommodating of ambiguity, repetition and plain prose to one that favours precision, concision and lyricism”. There is no grand tradition of mystery writing in Korea. Writers there are creating something entirely new: sparsely worded, stylistically sophisticated page-turners that incorporate ideas important to Korean society, such as family, loyalty, nature and hierarchy. Other genre books by Korean authors include You-jeong Jeong’s third novel, The Good Son, due out in the UK this May, followed by JM Lee’s latest, The Gospel of the Murderer, about a series of killings in Jerusalem just before the crucifixion of Jesus. Interest in the country’s literature has boomed over the last decade, according to research by the Man Booker International prize, gathered after Korean author Han Kang won for her novel The Vegetarian. Sales of Korean books have increasedfrom only 88 copies sold in the UK in 2001 to 10,191 in 2015, while the number of titles translated into English has doubled over the last five years, from 12 in 2013 to 24 in 2017. Pyeongchang, South Korea, where the Winter Olympics are currently under way, is extremely cold. Subzero temperatures inspired organizers to plan a relatively swift opening ceremony, forced biathletes to reconsider their choice of gloves, and sent television commentators in frantic search of cosmetics that wouldn’t freeze their faces off. Watching the Games, I have been thinking about the temperature fifty miles north, on the other side of the D.M.Z., where basic amenities—never mind battery-powered jackets, space heaters, free coffee, and weatherproof foundation—are harder to come by. Power outages are common in North Korea: in recent years, according to some reports, the country’s net electricity usage fell to nineteen-seventies levels, even as its population grew by nearly ten million. Then there is the untold number of prisoners in labor camps; presumably, their defenses against the weather are grossly limited. You can read more in The New Yorker. Enjoy the best of Korean Literature! We are so proud of our authors: Un su Kim, THE PLOTTERS, Kyung sook Shin, THE COURT DANCER, Hye young Pyun, CITY OF ASHES AND RED and Jeong you Jeong's THE GOOD SON. All publishing this year ! Enjoy the best of Korean Literature. From classic Joseon dynasty ghost stories, via historical fiction set in the reign of Queen Min, to the latest in translated literature, we take a look at some of the books to look forward to in 2018. We are proud to welcome Jamie Marina Lau! Modernity, art, family, gender, drugs, music, adolescence, business, religion, internet cafes, food, strangers, aesthetics, vacations, fashion, desires, dreams, expectations, brown couches. An unpredictable and innovative debut novel from a provocative new voice in Australian fiction. Embracing the noir tradition and featuring a prose style quite unlike any before—with references that will go both over your head and under your feet—Pink Mountain on Locust Island will flip readers upside down and turn your understanding of the world around you around.